If you need to manage people, first head to Adminland by tapping on the Home button, then tapping on the 🔑Adminland link in the upper right corner. From there you'll want to tap the Add/remove people or change their access option. When you've got someone new you'd like to add to your account (and maybe even several existing Projects or Teams) this is the place to do it. First, click the big green button to Add someone new. Next fill out their info. 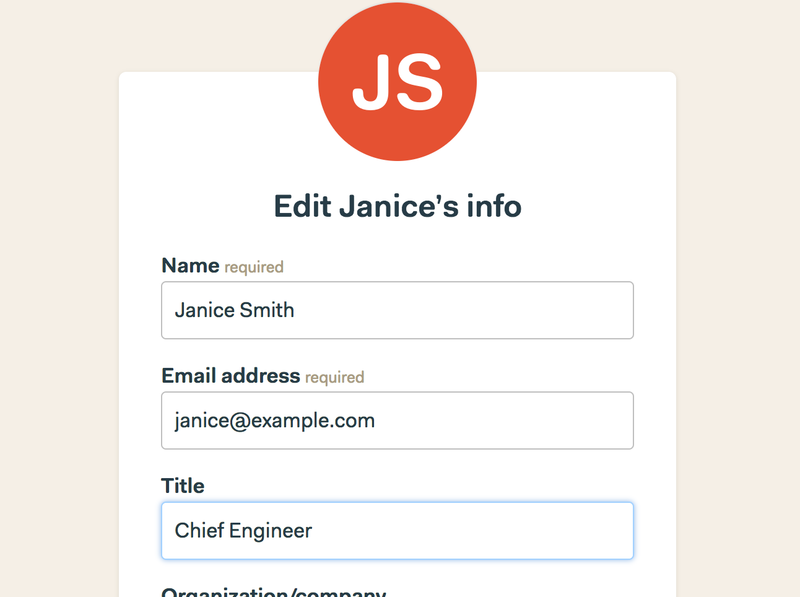 After that, you'll get the chance to either add them to existing Projects and Teams on the account, or just send them an invitation email. Has a teammate or client contact get a new title? Or perhaps someone made a typo when entering an email address? No worries, you can easily update their info. First, find the person whose info you'd like to update, and tap the edit link under their name. From there, you can edit their name, email address, title, the company they belong to, their time zone. You can remove them from the account too. 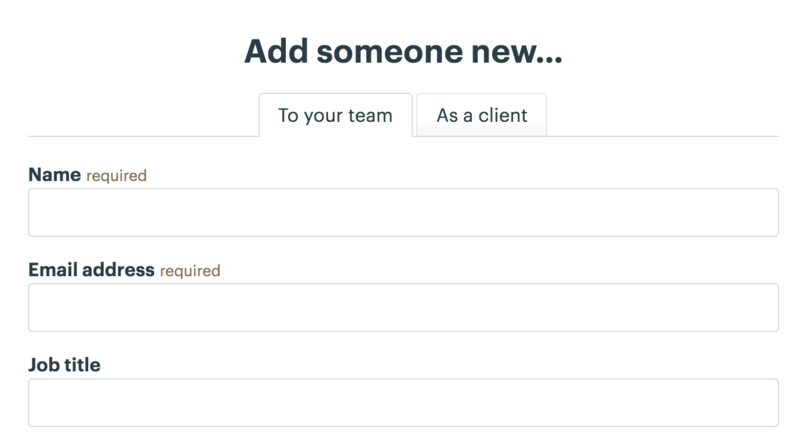 If you need to add someone (or remove them) from a few (or a bunch) of Projects and Teams at once, this provides a quick way to tweak what someone can see. First find the person, then tap the Change access link below their name. That'll take you to a screen where you can pick which projects or teams they can access. 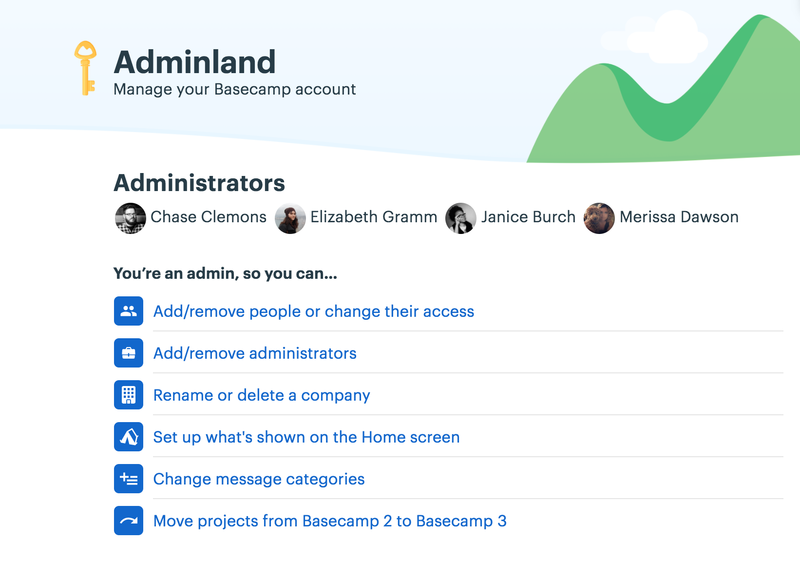 When someone leaves the team — or if someone's added by mistake — you'll want to remove them from your Basecamp account. Don't worry though, when you remove someone from your account everything they've posted to the account stays where it is. First, find the person and tap the edit link under their name. Lastly, confirm that you're okay with all the effects of removing someone, then click the big red Remove _____ completely button at the bottom to remove them.